Please use "The Evil That Men Do" as your recap music. ~Ada Chapter 1 take place two days before the outbreak in Tall Oaks, placing it between the Edonia incident and the Tall Oaks outbreak. Ada Chapter 2 takes place while Leon is making his way through the cemetery and eventually ends with Ada heading to China as well. At the time Ada Chapter 2 ends, Chris begins his mission to rescue the U.N. Workers, just before Jake begins his escape from the Neo-Umbrella facility in China, and Leon has just escaped the catacombs. The video on YouTube is blocked in some countries, but there's no telling which ones. If you can't view it use Chrome (or Firefox with a plugin) to download the video from this Mega link. *I did not show Ada's clone's figure because it reveals her name and that would be spoilers for now. We will see it later. In all honesty it's just a different costume, there's not much to see there, but god damnit why does Ada's figure have Sherry's triple shot gun? 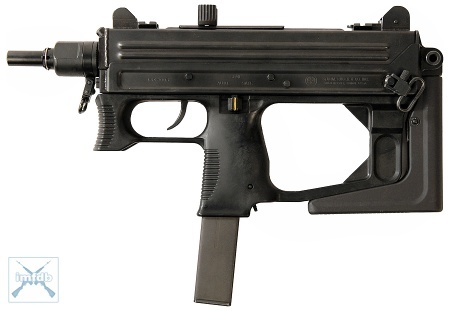 That would have been so much better to have over a Mac 10, or at least a silenced pistol of some kind! **Definitely want to check out these files too, there's a lot of info here as well as some info on the new Gnezdo transformation seen in this update. One of the files goes into detail on Ada and reveals a small fact that she knew Derek all the way back during the Raccoon City Incident for one! There is also a report that is no doubt from Ada's clone to Simmons and more. We learn a few things about the missile strike ordered on Raccoon and what relation Derek has to Ada, and we get hints at why he did what he did! Well this took a long time, so since I wasted a week I present a double feature! I've got the rest of the chapters planned out and the quality should increase some more. Thank you to all who watch as usual! I'm sure you'll get a kick out of chapter 2 as well. With this update marks the big intersection of the game: everybody is in China at the same time in their next chapters, and pretty much all characters are going to meet each other, so it made picking my next chapter a little harder because it can go any way now that we've seen everyone's prelude up to this point, but you know what, Chris hasn't gotten any love and he deserves to be the next update, so Chris Chapter 3 will be next week! And there are plenty of great moments that should build on the momentum of these two chapters, so look forward to those! I did a bit of an experiment with Ada Chapter 2 and tried out a quick recap for the first few seconds. Let me know if it will work out for you all. P.P.S. I wonder what that painting in the submarine was? The Chinese-American spy herself, Ada Wong has reappeared seemingly as a helping hand and as both the enemy but the one we play as is clearly the real one. She comes back with her signature Crossbow and super and vague statements. (Throw, Head-Front) Leg Grab - Ada jumps up, grabs the victim's head and brings them down. (Stealth, Head-Back) Head Throw - Ada mounts the victim's shoulders and uses her thighs to fling them over her body. (Basic, Varies) Fan Kick - Ada's signature kick comes back with the widest radius of all melee moves in the game. 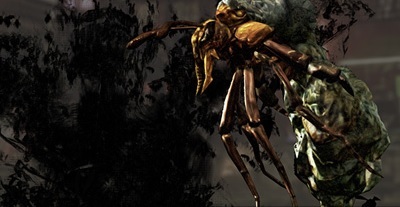 (Coup-de-grace) Somersault Kick - Ada steals Sheva's somersault from RE5 and uses it to destroy mutant heads. NOTE: I forgot to do it a lot playing as Ada but using Quick-shot with her Crossbow has a lot of great animations to go along with it. All but the forward roll are changed with it equipped as well. Leon: "Why would he do this?" Leon: "Why are we still appearing in this franchise?" Ada: "I'd tell you, but I'd have to kill you." I don't believe Ada's crossbow was based on anything but because it's considered a silent weapon we can at least deduced it's spring-loaded. A composite rifle that comes with an M320 grenade launcher as standard armament. The rifle seems to resemble the DSA SA58 Para Tactical Carbine (with some visual modifications), which is a variant of the FN FAL. Unlike the "Grenade Launcher", this weapon can only use the HE grenade. Depending on how well you do (which translates to just how many hits you take versus how many you don't) the difficulty either goes up or down. If you do really well and avoid damage for a while, the next hit will do a lot of damage and if you keep taking more, the difficulty drops. Professional in RE5's case just results in instant dying. RE6 is a little different. On Professional in RE6 you can take a little more punishment than in Veteran. As with both games, Professional numbers never change. No Hope is a completely different story. Not only are all the enemy parameters bumped up by at least 200%, you are not allowed to use skills, you do not heal on continuing if you die, and you will die in one hit easily from all but the very weakest attacks, that's why I never saw fit to really play the mode or show it off because it's more an exercise in frustration than anything. Plus, playing solo would just make some bosses impossible. I have gone through the majority of it solo however and I really don't want to do that again!